St. Martin's Press, 9781250085139, 320pp. Dr. Steven Hatch, an infectious disease specialist, first came to Liberia in November 2013 to work at a hospital in Monrovia. Six months later, several of the physicians he had served with were dead or unable to work, and Ebola had become a world health emergency. 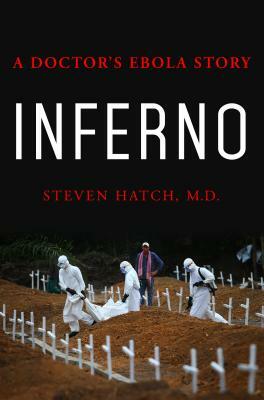 Inferno is his account of the epidemic that nearly consumed a nation, as well as its deeper origins. Hatch returned with the aid organization International Medical Corps to help establish an Ebola Treatment Unit. Alongside a devoted staff of expats and Liberians in a hastily constructed facility nestled into the jungle, Hatch witnessed the unit's physicians, nurses, other caregivers, and patients selflessly helping others, preserving hope in the face of fear, and maintaining dignity across the divide of health and illness. And, over repeated visits during the course of the outbreak, Hatch came to understand the Ebola catastrophe not only as a contagious virus but as a product of Liberia's violent history and America's role in it. Powerful and clear-eyed, Inferno not only explores a deadly virus and an afflicted country, but also reveals how the Ebola outbreak stoked nativist anxieties that were exploited for political gain in the United States and around the world. In telling one doctor's story, Inferno demonstrates how generations of inequality left Liberia vulnerable to crisis, and how similar circumstances might fuel another plague elsewhere. By understanding and alleviating those circumstances, Hatch writes, we may help smother the fire next time. Dr. Steven Hatch is an assistant professor of medicine at the University of Massachusetts Medical School, specializing in infectious disease and immunology. In 2013-2014, Dr. Hatch lived and worked in Liberia as one of the few Western doctors fighting the Ebola epidemic. His work in Liberia was featured in The New York Times, CBS News, CNN with Anderson Cooper, and elsewhere. The author of Snowball in a Blizzard: A Physician’s Notes on Uncertainty in Medicine, Dr. Hatch lives and works in Massachusetts.